Have you been wondering how to manage your curly hair? We love our natural curls, but there’s no denying that they need truly deep nourishment – without it, they can feel dry, rough, look frizzy and be more prone to breakage. With the right curly hair care, though, we can quench their natural ‘thirst’ and get the soft, defined curls we love. 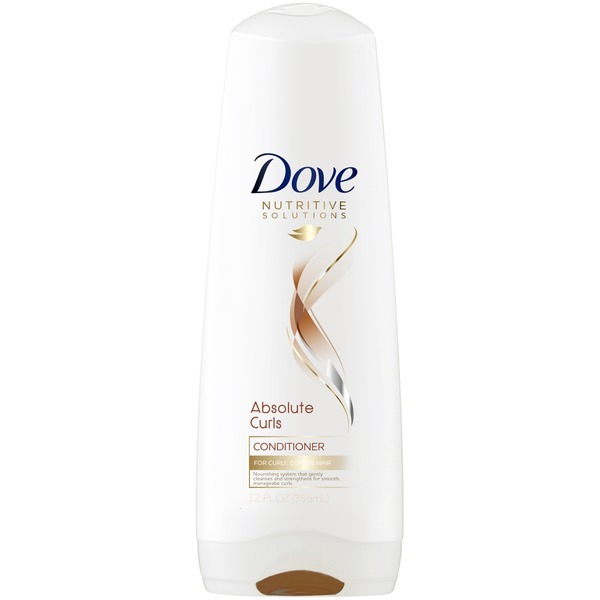 That’s why we created new ultra-nourishing Dove Quench Absolute Conditioner, our best conditioner for curly, wavy and textured hair. Water (Aqua), Cetearyl Alcohol, Dimethicone, Stearamidopropyl Dimethylamine, Behentrimonium Chloride, Fragrance (Parfum), Glycerin, Lactic Acid, Dipropylene Glycol, Amodimethicone, Potassium Chloride, Gluconolactone, Trehalose, Propylene Glycol, Disodium EDTA, PEG-7 Propylheptyl Ether, Cetrimonium Chloride, Arginine, Lysine HCL, Mauritia Flexuosa Fruit Oil, Sodium Sulfate, C10-40 Isoalkylamidopropylethyldimonium Ethosulfate, Hydrolyzed Keratin, Methylchloroisothiazolinone, Methylisothiazolinone, Yellow 5 (CI 19140), Red 33 (CI 17200), Blue 1 (CI 42090). Directions: After shampooing, massage conditioner through the hair, focusing on the ends, and rinse.